« How to expand virtual hard disk space (vhd format) on your Oracle VirtualBox VM? I have a scorecard and I want to link an item in scorecard to a grid report. When an item in the scorecard is selected, the grid report will only display the children of the item selected. 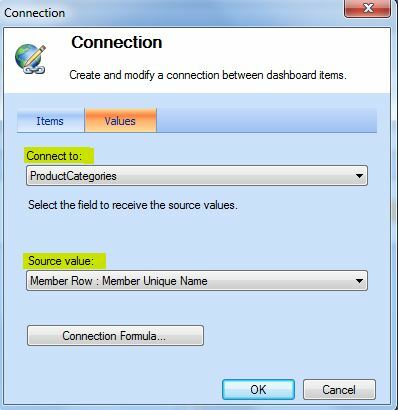 When the following cell for Clothing CY2008 as highlighted on the screenshot below gets selected, the grid report on the right hand side will display the breakdown of the Clothing product category by product subcategory for CY2008. As you see from the above screenshot, my dashboard contains 1 header and 2 columns. The header is divided into two zones i.e. top row and Zone 1. 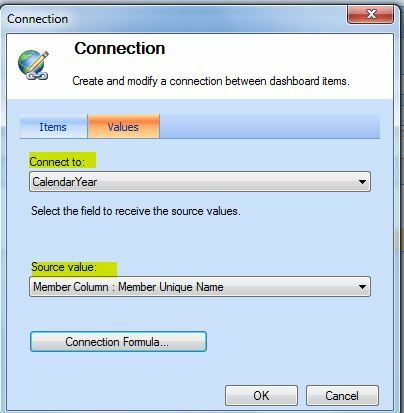 The top row header is linked to the Product Categories filter and the Zone 1 header is linked to the Calendar Year filter. The columns have 2 zones i.e. Bottom Row and Zone 2. 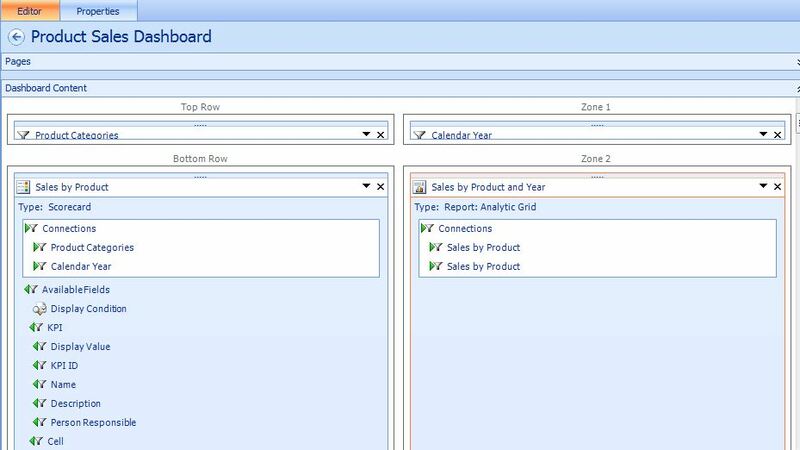 The Bottom Row contains the Sales by Product scorecard whereas the Zone 2 contains the Sales by Product and Year grid report. 3. Hover over the down arrow on the right. 4. Choose “Create Connection” menu. A Connection menu will pop up. 5. 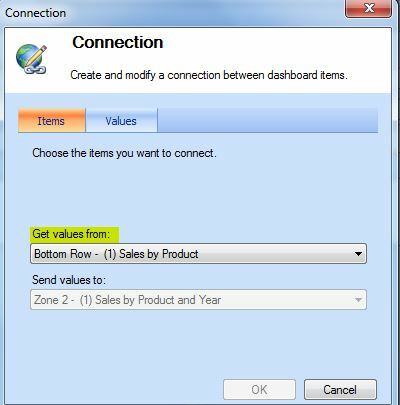 Map the Items to get the value from the Bottom Row – (1) Sales by Product as per screenshot below,. 6. Select the Values tab. 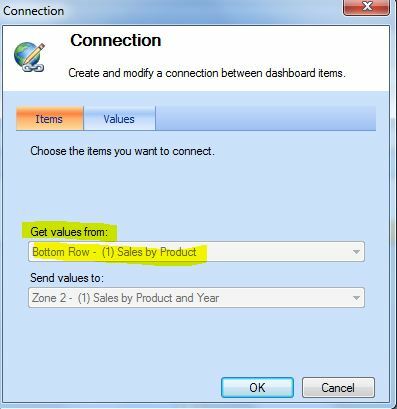 Map its values to ProductCategories from the Member Row: Member Unique Name as per screenshot below. 7. Repeat Step 4 to Step 6 for the CalendarYear mapping. 8. Save the dashboard then deploy it.